Exercise and athletic performance supplements are manufactured and promoted to improve endurance and strength, as well as to increase exercise efficiency and tolerance for intense physical activities. These supplements are also used as ergogenic aids. They help in reducing chances of injury while working out or training and facilitate the body’s faster recovery from exercise. Unfortunately, because sports nutrition supplements are part of a $6 billion industry, these supplements are usually marketed aggressively. Many of these exercise and athletic performance supplements are formulated with multiple ingredients, thus making it difficult for researchers to determine the efficacy and safety of the supplement. 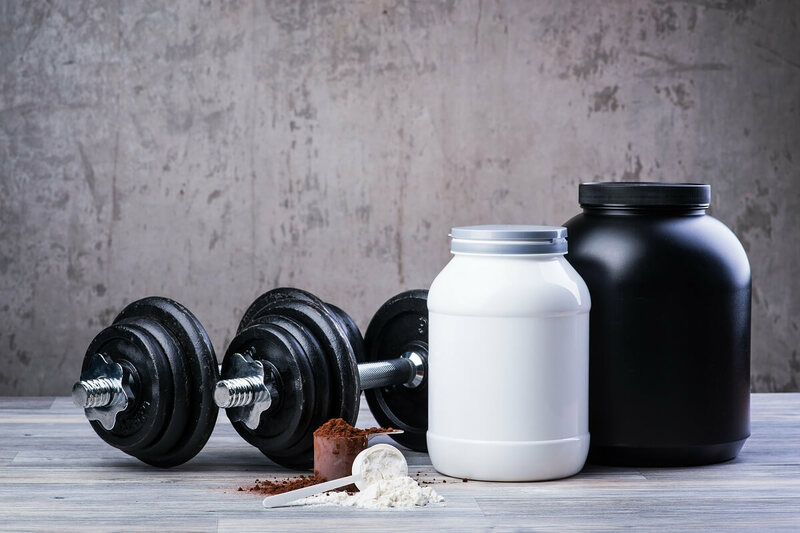 Take a look at these three ingredients commonly found in exercise and athletic performance supplements. These three have been scientifically proven as effective. The best thing about these is that they are established as safe for daily intake. HMB, an active metabolite of leucine, is used as a supplement ingredient for prevention of muscle protein breakdown. Leucine, on the other hand, is a branched-chain amino acid that helps in muscle protein synthesis. Approximately five percent of leucine found in our body gets converted into HMB. HMB is important because it gets converted in the liver into a precursor that’s necessary for the synthesis of cholesterol, which is needed to restore the function and structure of skeletal muscle cells that get damaged and stressed from exercise. For athletes and those who actively work out, around 60 grams of leucine is needed daily for conversion to HMB. To obtain this much amount of leucine, you would need to eat around 5 pounds of beef tenderloin or more than 600 grams of high-quality protein every day. Doing so would be quite impractical, which is why HMB is taken as a supplement instead. Although the general agreement is that HMB improves faster recovery from intense workouts, there have also been studies suggesting that HMB also enhances strength, power, and aerobic performance. There have also been studies with findings that HMB may help in increasing skeletal muscle size. Several studies found that HMB is safe to take at 3 grams daily and that users are able to tolerate HMB well. Other studies found that taking 3-6 grams daily did not have any adverse effects. There are two forms of HMB used in dietary supplements. HMB-Ca is a calcium salt, while HMB-FA is a free acid. HMB-FA is found to raise HMB plasma levels faster and with a greater effect. So you can take HMB-FA around 30-60 minutes before exercise, as compared to HMB-Ca, which you will need to take an hour or two before working out. For athletes preparing for competitions, taking HMB at least two weeks before the event is recommended to maximize the protective benefits of HMB. Trimethylglycine, more popularly known as betaine, can actually be obtained naturally by eating foods like spinach, whole-grain bread, and beet. One cup of boiled spinach can already give you more than 500mg of betaine, 377% DV of vitamin A, and more than 1,000% DV of vitamin K.
However, the betaine dosages often used in scientific studies range from 2 to 5 grams per day. So you will either need to eat a lot of spinach, or you can just obtain betaine from dietary supplements. Betaine is important, especially for athletes and people engaged in intense workouts or physical activities. It is an osmolyte which means that it helps to make sure water balance is maintained in our cells. In this sense, betaine is similar to creatine in that higher concentrations of betaine in cells promote cell hydration and increase resilience to stressors. The other benefit of betaine comes from its ability to lower homocysteine levels. Homocysteine results from the breakdown of protein in our bodies. The problem with homocysteine is that it’s linked to higher risks of strokes and heart attacks when present in high concentrations. Elevated levels of homocysteine is also linked to plaque formation in the arteries. Betaine can help lower these risks. Betaine also supports whole-body methylation. Because it is basically just a glycine molecule with three methyl groups attached to it, betaine is able to donate its methyl groups to other compounds in our body that need methyl. For instance, betaine works with folate, which is needed for red blood cell production. Glutamine is one of the most important amino acids in our body when it comes to metabolism and energy production. You might think that you no longer need glutamine supplements because it is, after all, the most abundant amino acid naturally found in our muscles and bloodstream. However, glutamine supplements are important for critically ill people who are no longer able to produce enough glutamine to meet what the body needs for normal daily function. For people who are no longer able to eat glutamine-rich food like beef, dairy products, eggs, and vegetables like beans and spinach, taking glutamine supplements can be very beneficial. Glutamine serves many functions in our body. For instance, it carries nitrogen between tissues. It is also a precursor of nucleic acids and proteins. Glutamine also regulates the acid-base balance in our body through ammonia production. It is also an important compound for good intestinal and immune system health. This is because the cells in these systems use glutamine instead of glucose as the primary fuel source. 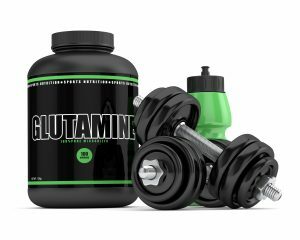 One notable characteristic of glutamine is that it becomes elevated as an essential amino acid when the body is suffering from stress, disease, muscle-wasting conditions, and physical trauma. When these conditions occur, glutamine steps up to enhance muscle building. For this reason, glutamine is also used to block many side effects of medical treatments. For example, when a person suffers from burns, muscle wounds such as from a knife wound, glutamine becomes actively involved in muscle building. In people suffering from AIDS, glutamine helps prevent reduced muscle mass that is usually associated with the disease. Glutamine is also used to counter the side effects of chemotherapy and for faster recovery after a bone marrow transplant.